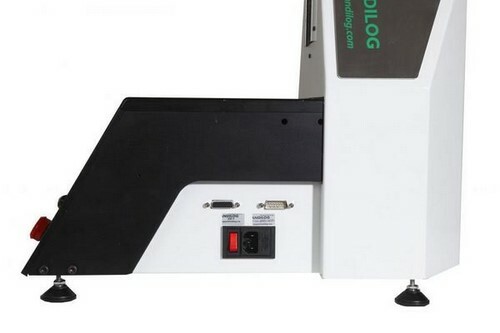 The tension and compression test benches of the Stentor II range are the most advanced systems of Andilog´s portfolio. They are designed to make tensile and compression tests in the production, for quality control or for maintenance purposes. With their integrated cockpit they enable the configuration of simple test sequences and the display of instantaneous results such as the maximum effort, the break or the elongation. The configuration is performed directly on the machine. This test stand is equipped with a S-type force sensor with high precision which offers great measurement and repeatability performances. It is possible to dispose of several sensors with different capacities on the same test stand thanks to the automatic SPIP recognition technology. The displacement of the sensor is done via the movable slider guided by a precise track with low friction and a pre-stressed ball lead screw for a minimum clearance. The table of the test stand is equipped with threaded holes in order to fix tooling and clamping jaws for the maintenance of samples to test. The high dimension of the table enables to position samples with a diameter up to 200 mm. The test stand Stentor II has an integrated control and measurement interface. The manual steering cockpit insures the crosshead displacement for a positioning before starting the test or adjustments of the first tests. It indicates in real time the travel speed and the position. The speed command can be slow or quick (adjustable). 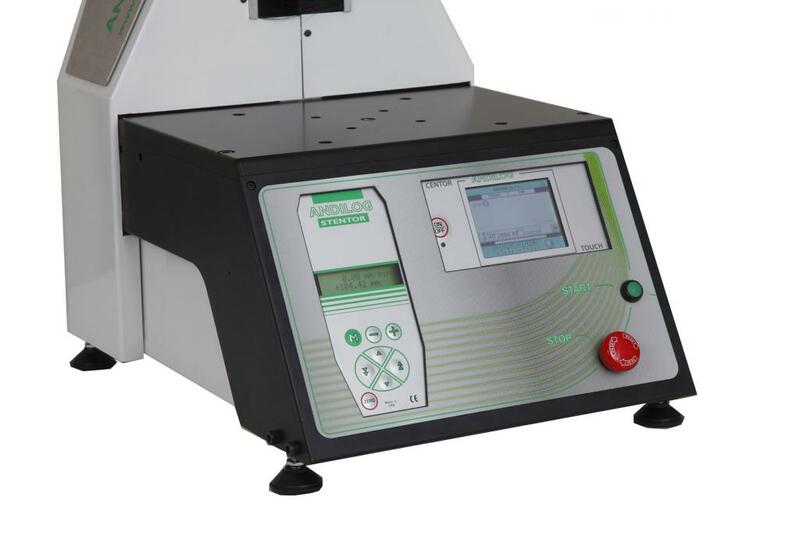 The measurement interface is composed of a color touch screen which enables to use the test machines without software or for a more manual approach. The interface displays in real time the measured force and displacement values as well as the force vs. displacement curve. 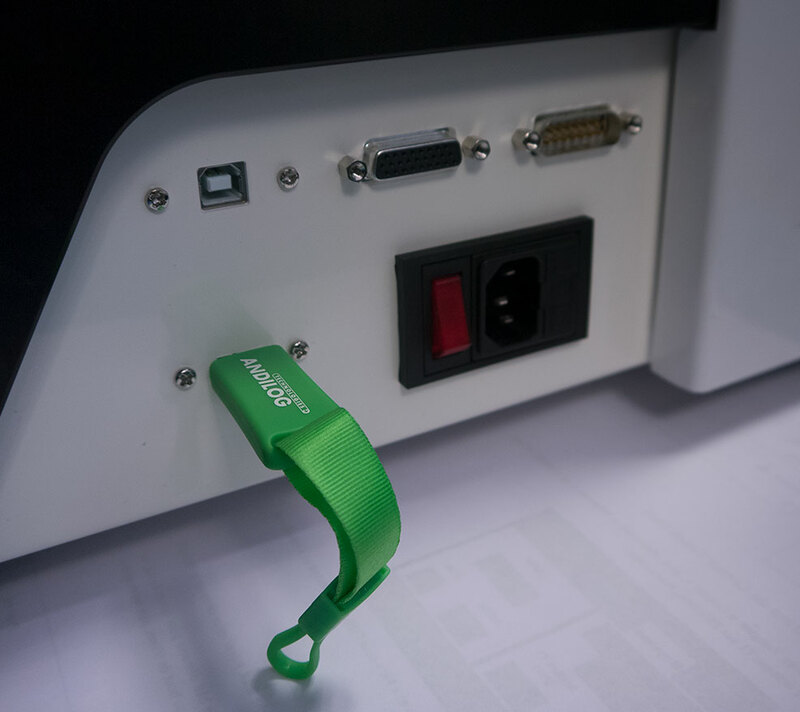 The compression and tensile test stands Stentor II are now equipped with a USB port and enable to save your measurement data directly into a USB stick. So it is possible to easily retrieve data from the internal memory of the machine or save the curves and measurement progressively on a USB stick. A 1 Go stick enables you to save hundreds of results. The measurements and curves are saved in txt format and can so be simply imported into a spreadsheet such as Microsoft Excel, an ERP or a traceability software. The optional Datastick software (sold separately) enables you to directly retrieve the curves from the USB stick and to create personalized reports in PDF or Microsoft Word Format. For more information, please click on the following link: Datastick.